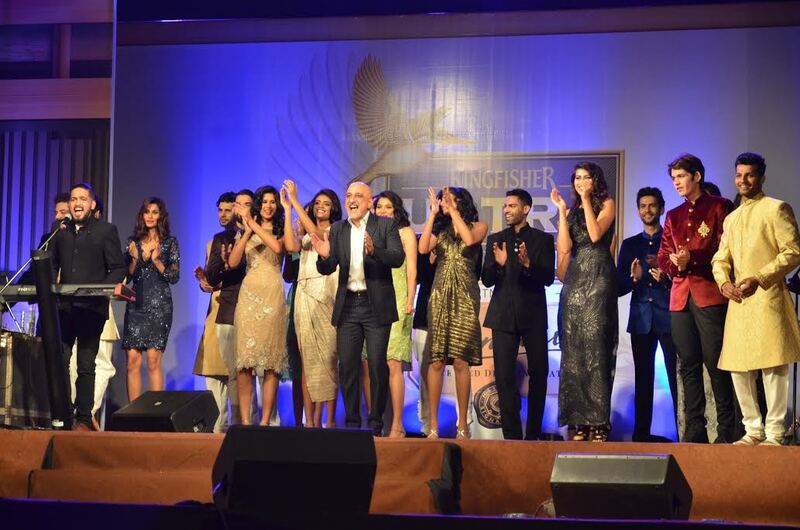 The curtain to the season’s most awaited racing event was raised at the ‘Post-Position Draw’ of the premier edition of The Kingfisher Ultra Indian Derby 2016 partnered by Signature Packaged Drinking Water. Kingfisher Ultra Indian Derby 2016 partnered by Signature Packaged Drinking Water hosted an enthralling evening of glamour and unparalleled entertainment at Royal Western Indian Turf Club today, which saw the fashion czars and racing enthusiasts of Mumbai assemble to discuss everything equestrian and stylish. The highlight of the evening was the fashion fiesta by talented fashion designer Manoviraj Khosla who, captivated the evening by showcasing his Derby special line for women, which comprised of beautiful embroidery, sequins dresses and elegant drapes. He also showcased a stunning traditional menswear comprising of Jodhpurs and Bandgalas. The band “Best Kept Secret” had the crowd grooving to their tunes, as Manoviraj Khosla left the crowd fascinated with his fashion line. This was followed by a performance by the renowned singer Kailash Kher, who captivated the audience with his soulful voice and electrifying energy. 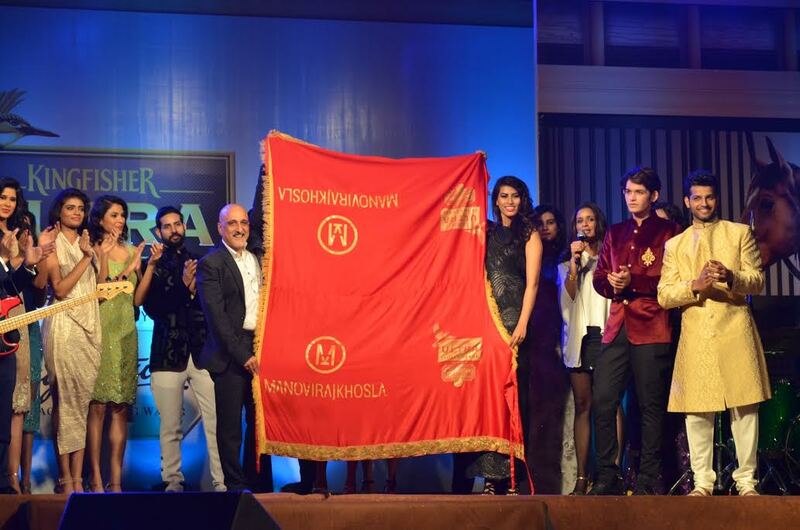 The event also witnessed the unveiling of the prestigious Joule, a regal red clothing ornament with gold detailing, which will be draped on the winning horse at the Kingfisher Ultra Indian Derby 2016 partnered by Signature Packaged Drinking Water. All the roads lead to the Royal Western Indian Turf Club this Sunday, February 7, 2016 as the city’s elite make their way to the Kingfisher Ultra Indian Derby 2016 partnered by Signature Packaged Drinking Water , an event that is marked well in advance by race enthusiasts & the socialites of Mumbai. Unparalleled thrill combined with a dash of glamour, the Ultra spirit is being adopted by racing enthusiasts from across the country. Only the finest thoroughbreds race to the finish for the coveted trophy and prize purse! Kingfisher ULTRA, the Emperor of Good Times was launched in September 2009. A high-end brand from United Breweries, ULTRA assures consumers the best quality, taste and the most differentiated experience across every touch point. Kingfisher ULTRA is made from the finest imported malts and hops which have a distinctive taste. The packaging is unique with an embossed flint bottle, ring pull crown, gold metalized neck and front label.